LISTEN NOW! Greg, John, and Pat discuss the importance of keeping CHRIST in “CHRISTmust”. 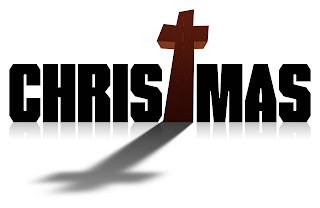 They continue to discuss the push that takes place this time of the year to try to take Christ out of Christmas and to make it all about anything as long as they don’t make it about Jesus. They encourage us to imagine if this was our last Christmas. No matter how much satan tries to negatively influence people of the reality of Jesus Christ and his birth he will never be successful. This is a perfect time not to shrink back. One NJ mayor refused to call it a “Holiday” tree but instead said the city is putting up a Christmas tree. The tree itself speaks much about Jesus and serves as a continual reminder and teaching moment. The Bible says cursed is everyone who hangs on a tree. Jesus died on the cross, a tree, and became a curse so we don’t have to be cursed. The lights resemble the light of God’s word shining through. They encourage us to restore purity in our giving and not make Christmas about us but rather about Jesus.